Saturday, June 2, 11:00 am, Pontifical Divine Liturgy, Assumption of the Blessed Virgin Mary Parish, Calgary, in commemoration of the Parish’s 100th Anniversary; banquet to follow. 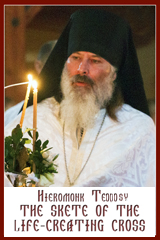 Sunday, June 3, 10:00 am, Pontifical Divine Liturgy, Saint Stephen Parish, Calgary; reception to follow. Wednesday, June 6, 9:30 am, Divine Liturgy with Ukrainian Bilingual students and teachers from Edmonton and Sherwood Park Catholic Schools, Saint Basil Parish, Edmonton. Thursday, June 7, 7:30 am, 3rd Annual Bishop’s Prayer Breakfast, Saint Basil Cultural Centre, Edmonton. Friday, June 8, 5:00 pm, Supper with youth and young adults, Saint Josaphat Parish Hall (Verkhovyna); 7:00 pm, Thanksgiving Moleben, Saint George Parish, Edmonton, honouring our eparchial lay organizations – UCYC, UCWLC, UCBC, K of C.
Saturday, June 9, 11:00 am, Pontifical Divine Liturgy, in commemoration of the 100th Anniversary of the Appointment of Bishop-Martyr Nykyta Budka as First Ukrainian Catholic Bishop in Canada, Saint Basil Parish, Edmonton; banquet to follow at Saint Basil Cultural Centre. Sunday, June 10, 8:30 am Divine Liturgy, Saint Josaphat Cathedral; reception to follow at Saint Josaphat Parish Hall (Verkhovyna). World Day of Prayer for the Sanctification of Priests is celebrated on June 15. To mark this occasion, attached is a Letter to the Clergy of the World from His Eminence Mauro Cardinal Piacenza, Prefect of the Congregation for the Clergy. Clergy Retreat – August 20-24, Caroline. 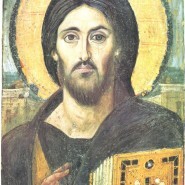 The retreat begins with 4:30 pm Vespers and supper on Monday and concludes with Divine Liturgy and lunch on Friday. Presbyteral Council meetings – October 1 (2:00-5:00 pm, Chancery), November 19. Clergy Conferences – October 2 (10:00 am – 4:00 pm), November 20. The Permanent Council of the Canadian Conference of Catholic Bishops released a Pastoral Letter on Freedom of Conscience and Religion. The letter explains that certain freedoms are essential to the common good of countries such as Canada where diversity is the norm. It also points out that these freedoms are not granted by the state, society or any human authority, but belong to all people by virtue of their humanity.The pastoral letter, addressed to everyone of good will, calls on Catholics, all believers, and even those of no faith, 1) to affirm the right of religion to be active in the public square, 2) to maintain healthy Church-State relations, 3) to form consciences according to objective truth, and 4) to protect the right to conscientious objection. The letter also encourages all faith communities to contribute to the formulation of public policy and the common good, and concludes by exhorting believers not to compromise their convictions, but to stand up for their faith, even if they must suffer for it.The pastoral letter is available for download at www.cccb.ca or can be read on our website: Pastoral Letter on Freedom of Conscience and Religion. The Catholic Organization for Life and Family launched a new publication, The Unborn Child: a gift, a treasure and a promise – A Reflection on Abortion. Is the unborn child human? When does life begin? What does science say? Is abortion a right? Does abortion affect the lives of women? Are there alternatives to abortion? The Unborn Child answers these questions and many others in a very accessible style.The publication is accompanied by a Workshop Guide which can help to reflect on the value of human life and the tragedy of abortion. The workshop can be hosted as a parish-based event. As “domestic churches,” couples and families may also choose to host the workshop in their own homes, for themselves or with friends.The Unborn Child and the Workshop Guide are available for download at www.colf.ca.The Catholic Organization for Life and Family is co-sponsored by the Canadian Conference of Catholic Bishops and the Supreme Council of the Knights of Columbus. It promotes respect for human life and dignity and the essential role of the family. The Latin Patriarchate of Jerusalem recently revised its website in celebration of Easter and in anticipation of the upcoming pilgrimage of the Holy Father to the Holy Land. The new address is www.lpj.org. The website is an excellent source of up-to-date information on developments in the Holy Land and throughout the Middle East.